Scene Magazine is the first to reveal the winners. The online magazine shines a spotlight on four cities – or in our case, region – per year. 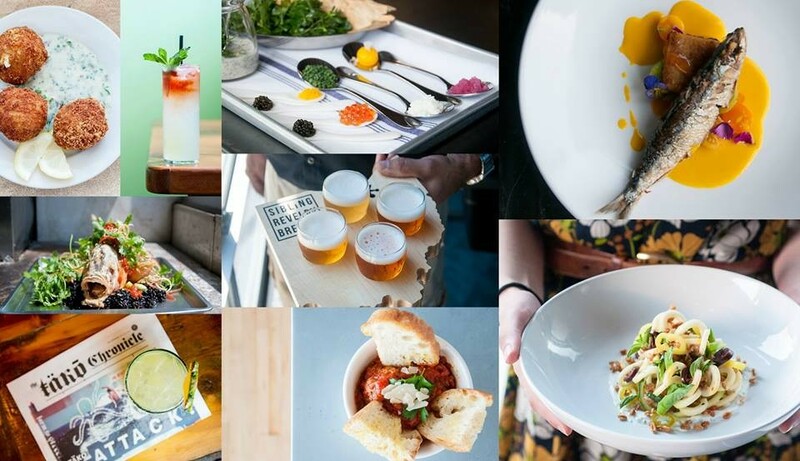 Editors, writers and photographers visited Cleveland, Detroit and Pittsburgh this past spring, when they tasted the works of 130 chefs, pastry chefs, bartenders, sommeliers, brewers, coffee roasters and other culinary artisans. The results of those examinations and deliberations follows. “So many Rust Belt chefs left the region to train and work in Chicago, New York, and San Francisco, but at the end of the day, they came back because they believed in the potential of their hometowns,” Will Blunt, managing editor of StarChefs, explains. Local winners like Brett Sawyer from The Plum and Will Hollingsworth from Spotted Owl are understandably thrilled and honored to have been selected. "We were insanely excited to even be considered for StarChefs," says Sawyer. "To actually have been chosen among all of the great restaurants and talented chefs is an honor. Something that we hoped for but truly did not expect." Hollingsworth adds, "Taking this step onto the national stage is a vindication for the incredibly hard work of my team and for our goal of putting out the best drinks between Chicago and New York, in a bar where people can still feel comfortable ordering a shot and a beer. For me, it's humbling to be on the same list as the other bartenders who have won this award in the past — they are some of the people I respect most in this industry. And for Cleveland, it's just one more way we can say we're better than Pittsburgh." The following Rising Stars Award Winners will be honored at a gala at the Westin Cleveland on Wednesday December 7, 2016 where the 21 winners will showcase their food and specialty products with beverage pairings and cocktails by the winning sommeliers and bartenders. General admission to the gala is $85 per person. VIP tickets can be secured for $125 and include a private reception with cava and caviar. Tickets for the event can be purchased here.